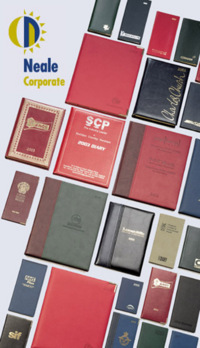 Corporate Castelli Diaries 2018 are used every day and with your business details and logo branded on in gold lettering will be a constant reminder of your Company. Castelli Diaries please click here. Quarto size or A4, desk diary or pocket, leather Castelli Diaries with your logo gold blocked or embossed on the front is a classy promotional or Christmas business gift. Other promotional ites besides our Castelli Diaries click here.